Kelly Sue DeConnick and Emma Ríos's PRETTY DEADLY sits at the intersection of Sergio Leone-inspired spaghetti westerns and Meiko Kaji's turns as a force of vengeance in Lady Snowblood. 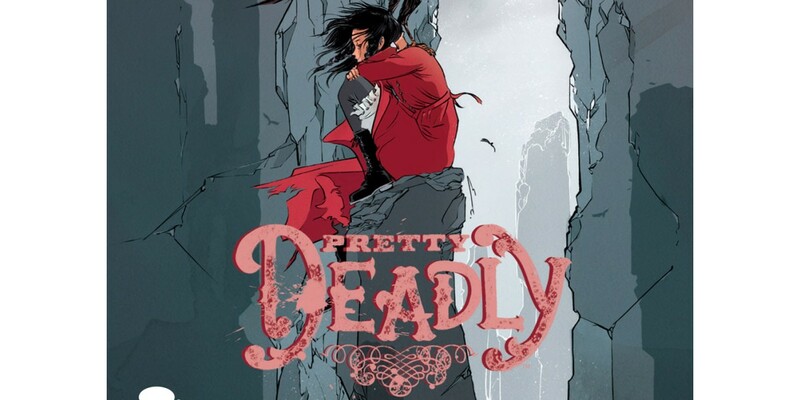 Exquisitely ethereal and punishingly grounded, PRETTY DEADLY is a book that transcends its influences and becomes something else entirely, something new. "All blood spilled into the earth makes its way to a river. Where those rivers meet, Fox attends the birth of a beast, the child of a thousand violent deaths."